I was out on first first snow, but ended up on muddy roads instead. 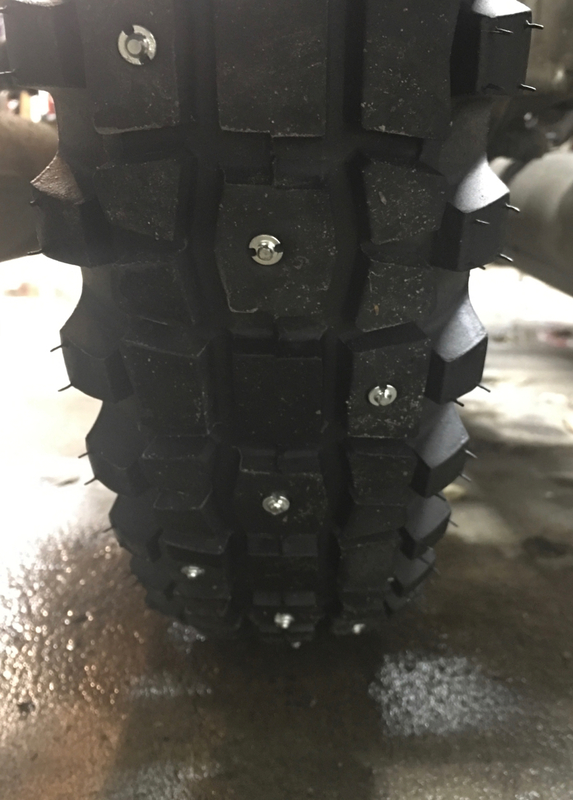 The Duro 308 tires currently on Scarlett felt slippery at times....am wondering how they'll do on snow. This might be first year I actually have to use chains in the snow. I really like the K37 tires. And on the front and sidecar they seem to last a really long time. I still have another new one "on the shelf" for whenever the pusher wears out. With heading into the rainy season I'd say it is definitely time for new boots. No one likes cold wet socks, or even warm wet socks if your feet are still warm. Once it gets a little colder, the waterproofness will matter less. But it's still time for new boots. For now, I'll just use some boots that I picked up at Sam's Club. Not riding boots but they do seem to be waterproof enough. Maybe you'll find a pair while we are in Chicago. Oh, is it already time? Meanwhile summer's back in the Black Forest: 21°C and sunny. Dangerous times for those who's insurance is expiring by end of October. Every weekend warrior is out and about on two wheels. Already watched two motorcycle related accidents within one hour on my home turf, and decided to ride home... way too risky today. My 10 YO Sidi boots finally quit being water proof, replaced them with Sidi Armada which I've been wearing on the trip. I like them, broke in quick and comfortable enough to do walking. Water proof. I've been looking at the Sidi videos on Revzilla. They make quite the variety and I'm told that they make the Aerostitch boots.